Australia's #1 for Paternity Tests and DNA Tests. 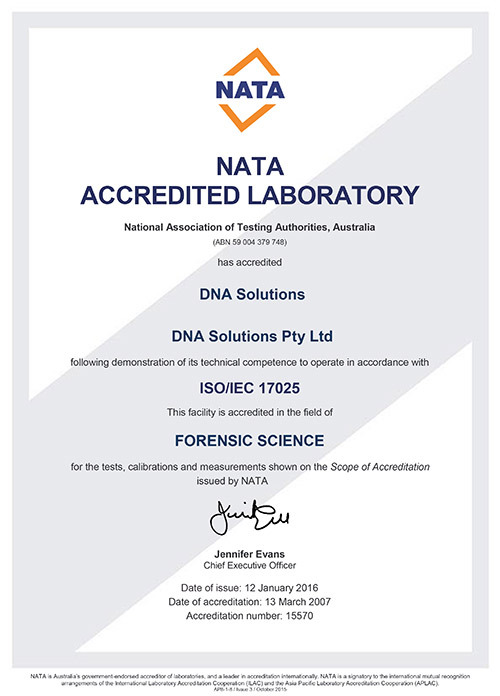 ISO 17025 Certified & NATA Accredited Australian DNA Lab. DNA Solutions performs DNA Testing for Channel 9's show 'Missing Pieces'. Click to view some video clips of the show. 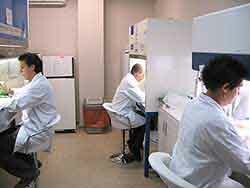 Our laboratory is NATA accredited to perform Legal DNA Paternity Testing, achieving ISO 17025 accreditation in the field of forensic science. We can exclude paternity with 100% accuracy. 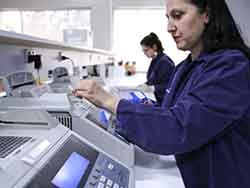 DNA Solutions was established with the goal of being the trusted name in the DNA testing field. Over the past 20 years we have serviced the Australian government, military and hundreds of thousands of individuals across Australia and overseas. Known across the industry for our professionalism and care, DNA Solutions is the company you can trust with your DNA testing needs. We acknowledge the importance of confidentiality and we can assure you that your DNA information is 100% secure. Your DNA information will not be shared with any third parties unless we receive written authorisation from you. If you have questions about which DNA test is correct for you, we invite you to contact us via our toll free number 1800 000 362. We have a full support team that can guide your decision, providing you the information you require.